Here’s an easy one that might have you bending over …forwards. Yoga is great for blood flow in the body. But some moves are also great for your face — like Downward-Facing Dog, Child’s Pose, or my favourite; the Standing Forward Bend (strangely enough I actually do this stretch around the house all the time!). What these kind of moves in particular do, is help boost circulation to the face; creating fresh, clear, glowing skin almost instantly. …all you really need to do is bend over. 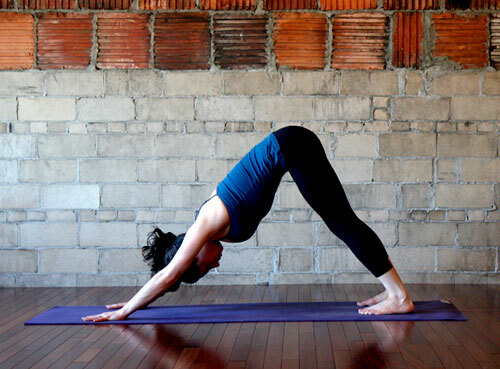 I love going from the downward dog, into cobra! It feels great!